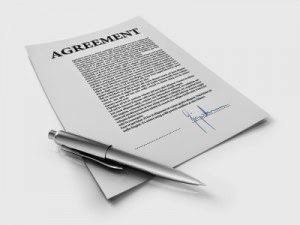 While you may think that managed service agreements are small potatoes when compared to the larger projects you take on such as upgrades and moves, these steady incremental agreements have value. For one thing, when you offer your small and medium business (SMB) customers the ability to control costs with a managed service agreement (MSA), you are helping them to control the bottom line. But the biggest reason your business should consider expanding into the role of managed service provider (MSP) is the ability of the agreement to keep your competitors out of your own backyard. This is why when it comes to creating and pricing, you need to think about all the reasons both you and your client will benefit from a managed service agreement. These days it isn't just other IT service companies that you will be competing against for your customer's money. When it comes to offering managed services, everyone from their office supply company to the manufacturer of their computers is eyeing the option of including the role of MSP. As your clients grow, they will want to streamline their processes by reducing the number of vendors they have. You want to be sure that when they do, you are on the short list of who they continue to do business with, not who they intend to drop. Identifying the crucial services that each particular client needs will be your most valuable tool in selling this service to them. You know your clients, and that means you know their strengths and weaknesses too. With over half of the companies surveyed saying that they chose their MSP because of either the service they offered or the fact that they already had a relationship with the company that they trusted and valued, you have won half the battle if you consider these factors as you put together your proposal. While it will be tempting to give each client a proposal that is tailored exactly to their needs, it may not be the best approach. Most MSPs offer a flat fee service. You will need to decide how often you want to bill them (annually, quarterly or monthly) and exactly what is and isn't covered in the agreement. Flat fees are easier to manage, especially if you plan to ramp up your offerings. However, they require careful consideration regarding how many devices are supported and exactly which services the customer will need to have included. Keep in mind if offering flat fee services just how much service this customer tends to need. Underestimating the service hours can erode your profit quickly. The core of the information you will use to provide a clear picture of what your customer needs for their MSP agreement will come from your own records in the EzPSA software. Here you can pull a clear picture of the size of the business, the devices that will need to be serviced and a history of how this particular company is growing. It will help you to pinpoint problem areas for them and address them in your proposal. If you already offer your clients IT services, then this will be a great tool for creating an interactive proposal that takes their needs well into consideration. But even if you use your EzPSA software for a non-IT service business, you can pull client records, get the big picture of growth and problem areas and create a proposal that will allow you to address your client needs. Building a new MSP business may sound intimidating. Truth is you have the tools and knowledge right now to take on this new profit center for your company. Taking the time to gain an understanding of what a client expects from a managed service agreement, and talking to others, who are already doing so, will help. In the end you will find you are servicing your clients more proactively and helping them to become more successful. Isn't that truly what we want for all of our clients?